The internet was the haystack, and a long-lost film documenting an important part of Maryland history was the needle. 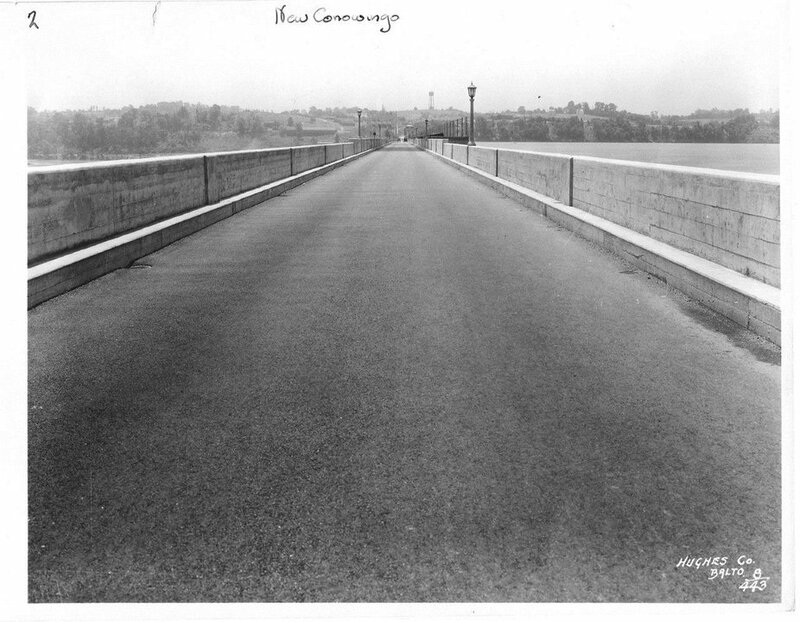 The story begins in 1928, when Conowingo Dam was known as one of the engineering marvels of its day. More than 85 years later, in 2014, Maryland Public Television decided to tell this Maryland icon’s story in a historical documentary as part of 2016’s Chesapeake Bay Week. 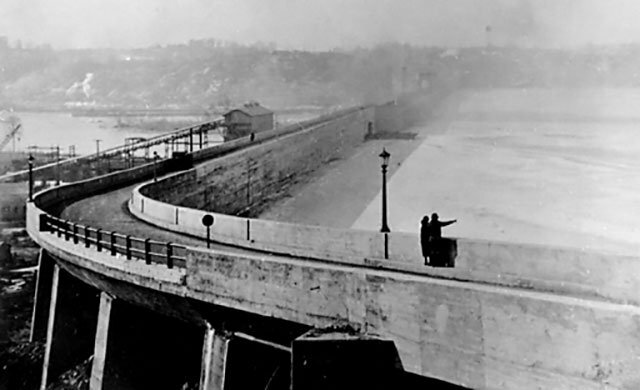 As pre-production ramped up on MPT’s Conowingo Dam: Power on the Susquehanna ( watch online ), the production team made a startling discovery during routine historical research. 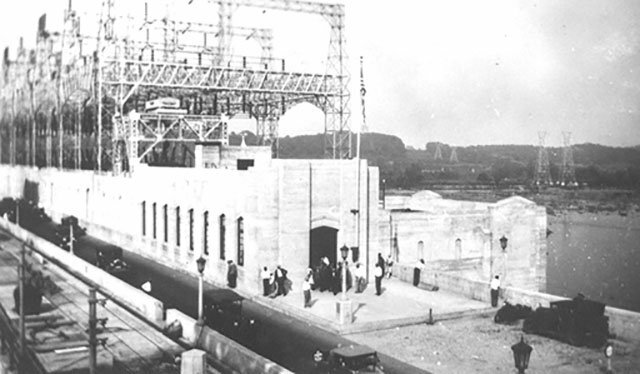 In 1926 during the building of the Conowingo, Stone & Webster – the world-renowned Boston engineering firm that designed and built most of the dam -- had commissioned documentation of the construction by a now-unknown film crew. The production team learned of the film’s existence from archival newspaper, magazine and journal articles it found from around the country. An exciting discovery like that is the Holy Grail of research discoveries in historical documentary filmmaking. But now came the hard part. MPT had to find it. 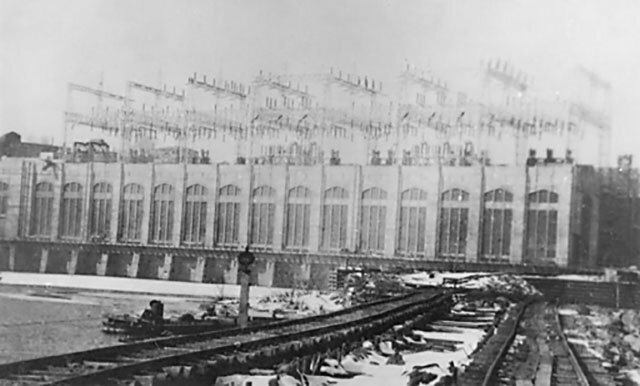 Program producers learned that the 16mm black and white film, which was made before “talkies” were common and used title cards rather than spoken narration, told the story of the dam’s construction, the men who built it, the work they did, and some of the hardships they faced on the job. Stone & Webster lent the film out for civic group and engineering society screenings across the country. Perhaps they stopped showing it as newer and bigger hydroelectric dam projects of the 1930s captured the public’s imagination. Or, maybe because “talkies” became common and silent films fell out of fashion. 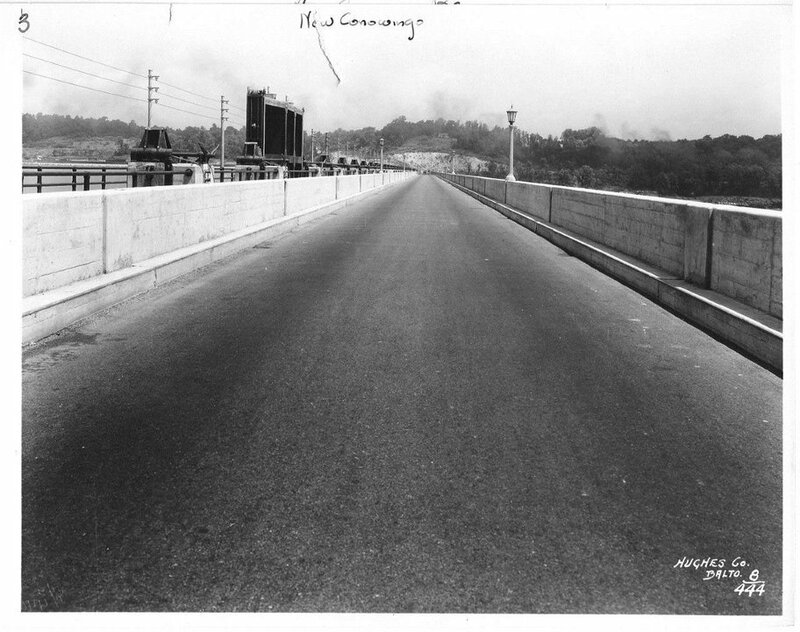 Whatever the reason for the waning interest in this film about Conowingo’s construction, public mention of it seemed to disappear by the early 1930’s. The film became “lost” in the sense that no one any longer knew about it or where it was stored. Still, it was possible there could be many copies of the film in storage around the country, so MPT hopes were high that one of them could be found. Producers initially tried contacting Stone & Webster, the engineering and construction firm, in Boston. Perhaps the film was packed away in a dusty warehouse, part of its huge corporate archive? But, disappointing news: Stone & Webster was sold in 2000, and then again in 2012. There was no information about the film’s existence from the company’s new owners, let alone any clues to its whereabouts -- or whether it even still existed. With production of Conowingo Dam: Power on the Susquehanna slated to begin soon, producers wondered how they would be able to authentically illustrate the history of the dam without the archival film. 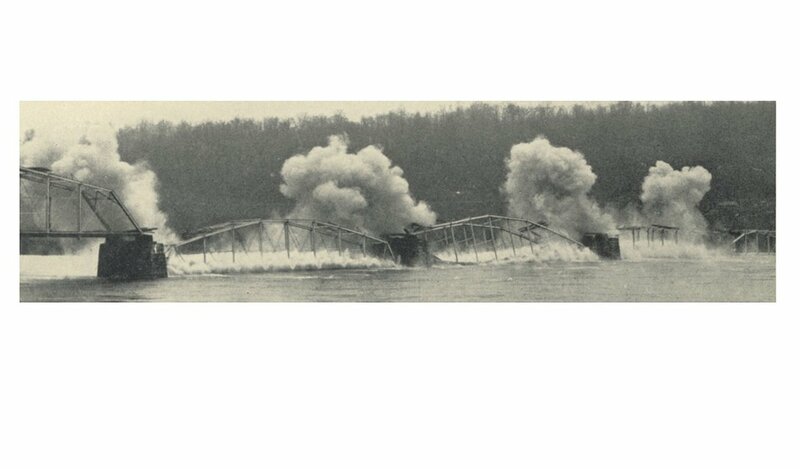 Even more importantly, a rare piece of Maryland’s modern history was “out there,” but missing. For months, members of the production team – producers, researchers, writers and interns, combed the internet, searched Ebay, cold-called university film libraries and engineering societies, emailed specialty educational film houses and searched the Maryland Historical Society and the National Archives. No luck. This is how it works in historical film production; sometimes you find what you’re looking for. But many times you don’t. After the year-long search, and with active location shooting just weeks away, producers in an eleventh-hour effort returned to Stone & Webster’s original headquarters city, Boston, for one last try. They contacted Boston Globe Business Deputy Business Editor Andrew Caffrey in July 2015. They asked him in an email whether he or any of his Globe business reporters could recall where Stone and Webster’s valuable corporate archives had landed after the company’s sale. Caffrey’s simple response: “nope.” “But,” he added, “try this” -- a link he’d embedded in his email reply. The URL in the email led to an online auction on Ebay, and there, finally, it was: the Stone & Webster film -- at least most if it -- capturing the construction of the Conowingo Dam, “lost” for almost 90 years. Well-stored and cared for, the print was in excellent condition. The starting bid was $10. The seller was a Hollywood film producer who collected unusual short films, and he was liquidating his collecting. After a two-day auction, Maryland Public Television and the citizens of Maryland won back a piece of lost history. The final cost for this rarity? $350. Some of the film was shown on broadcast television for the first time ever when Conowingo Dam: Power on the Susquehanna premiered on April 25, 2016 at 9pm on MPT. During the program, present-day and retired Conowingo Dam workers watch the film, talk about how dangerous working on the dam was, and how cavalier workers then seemed to be toward the hazards of dam construction. The film is a fascinating visual window into man’s harnessing of nature – the damming of the mighty Susquehanna – but also into how people looked, lived and worked. Whether it was mere coincidence, or something more ethereal like synchronicity doesn’t matter: even the internet haystack couldn’t hide this valuable piece of Maryland’s past. 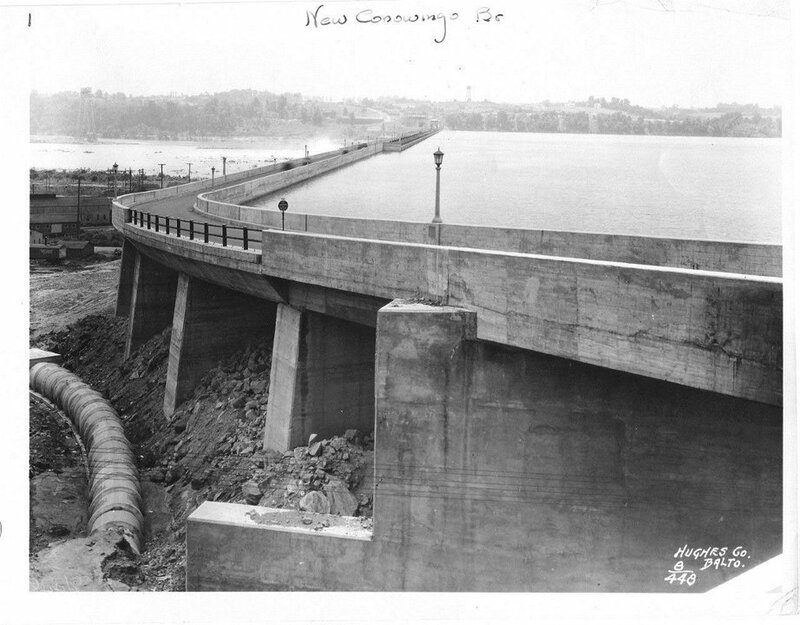 INSET AT RIGHT: A "Conowingo" two-reel film, depicting the construction of the dam and power house, is available for showing before club, school, college, business, and other organizations. Address Stone &amp; Webster Engineering Corporation, 49 Federal Street, Boston, Mass. 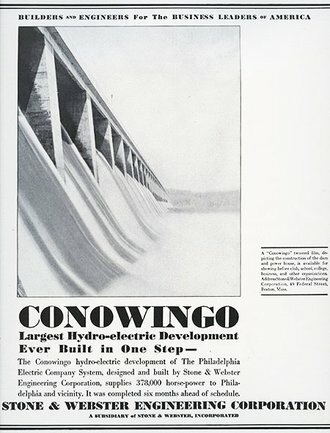 BOTTOM PARAGRAPH: Conowingo Largest Hydro-electric Development Ever Built in One Step. 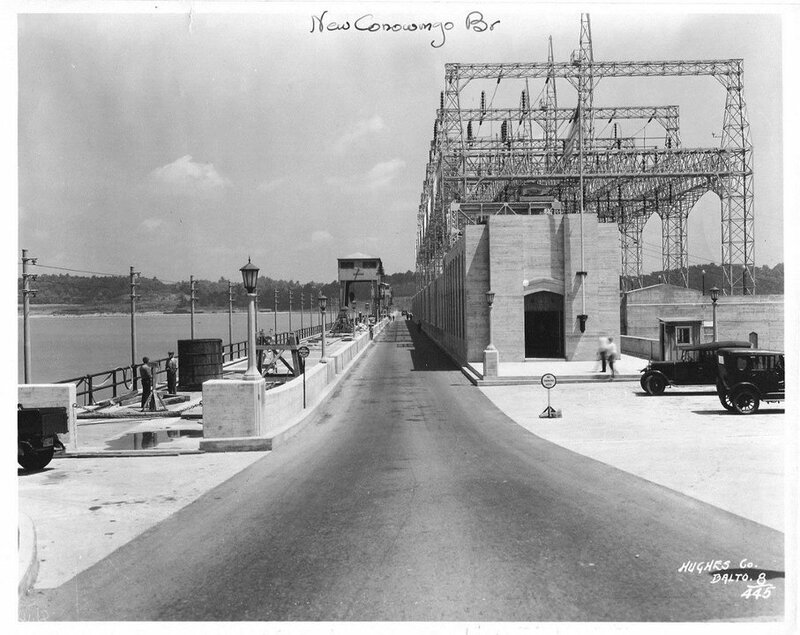 The Conowingo hydro-electric development of The Philadelphia Electric Company System, designed and built by Stone & Webster Engineering Corporation, supplies 378,000 horse-power to Philadelphia and vicinity. It was completed six months ahead of schedule.